Rugby fans are so passionate about their team; they’ll stop at nothing to be a part of the action. We created an engagement platform that gave fans the power to choose who deserved the most prestigious title awarded during Rugby World Cup (RWC) 2015. 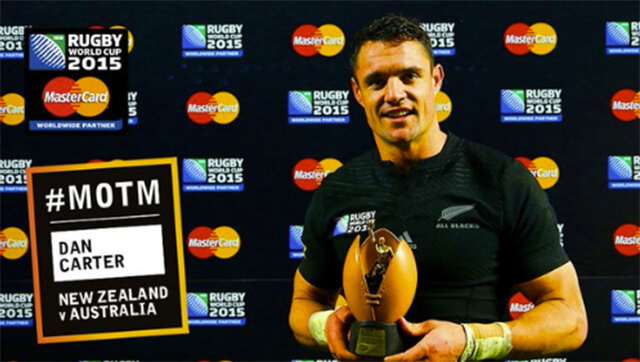 Fans were encouraged to watch every match of RWC 2015 and vote for the player they felt deserved the MasterCard Man of the Match award. Three players were nominated by the broadcasters based on their performance and we put them up for vote in the second half of each match. We combined votes that were placed on our MasterCard Rugby World Cup voting platform, the RWC 2015 application (iOS & Andriod) and Twitter, and tallied in real-time. The player with the most votes based on our calculation was awarded the MasterCard Man of the Match trophy on the pitch at the end of every match. 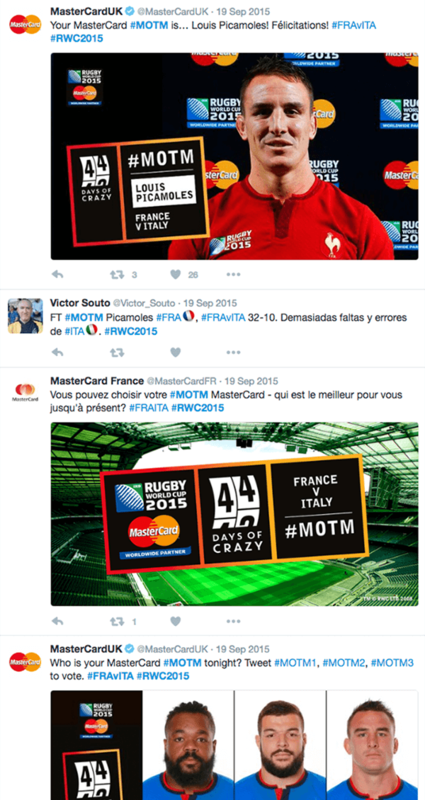 MasterCard was the most discussed sponsor of Rugby World Cup 2015.